The new portal for managing Azure is pretty. I’m not sure I’m in love with it, but it’s pretty. 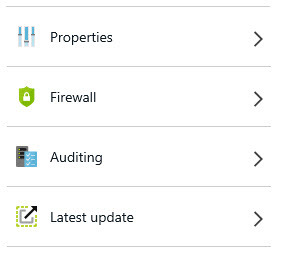 However, one thing that I have to access regularly is the firewall settings for my Azure SQL Database. I do demos from all over the place. I never know what my IP address is going to be. Rather than expose everything, I just set up whatever IP address I’m on and then remove it later. The old portal made this easy. The new one… not so much. Just remember that after adding a new IP address to your firewall you must hit the save icon at the top of the screen, or you still won’t be able to access your database.